Want to make a difference in the world? Want to create lasting friendships? The World Youth Alliance International Summer Camp (ISC) is an exciting and personally enriching experience for young people ages 13-18. During this intensive one-week program, young people from all over the world come together to learn about the dignity of the human person and how this concept is the foundation for policy, culture, development, and change. Participants learn to articulate and defend a vision of the human person that is both positive and critically engaged with global issues. The 2019 ISC will take place July 14-21st New York, at WYA headquarters and different venues in the city. Guided by our dynamic team of staff and counselors, campers will take part in an intensive formation process as well as fun and lively outdoor excursions throughout the week. All potential campers must complete the ISC application available on the “Application” tab. The $650/camper fee covers all accommodations and meals for the duration of the camp. Campers are responsible for their own transportation and visa fees. What are the manifestations of human dignity, including freedom, solidarity, and culture? How does the value of human dignity serve as the foundation of a prospers and flourishing society and culture? What is authentic leadership and how human dignity serve as the foundation of authentic leadership? Read and agree to the World Youth Alliance Charter by signing here. Fill out the ISC Camper Application form below by May 7th, 2019, for those who need US Visas and June 7, 2019, for those who don’t. Please submit your summer camp payment after you receive your acceptance letter. Please follow the steps below to process your camp payment after you receive your camp acceptance letter. All camp fees must be paid by June 15th, 2019. For payments via Paypal, please click the button below. Please note that for campers who have been granted a scholarship, you will be sent a separate payment link via e-mail. You will receive an acknowledgement of payment by email automatically at the end of the fee processing. Who is eligible to apply for the ISC? The WYA International Summer Camp is open to all applicants ages 13-18 years old. We welcome campers from all countries around the world. What are the expected activities? What is the schedule like? Does WYA cover travel and visa costs? Summer campers are responsible for their own travel and visa costs going to and from New York. During the week of camp, campers and counselors will travel NYC via public transportation and WYA will pay for these travel costs. What are the arrangements for pick up or drop off at nearby airports? WYA counselors will pick up/drop off campers from JFK, LGA, or EWK airports via public transportation. Campers should pay for their own travel, but will be accompanied by a counselor. 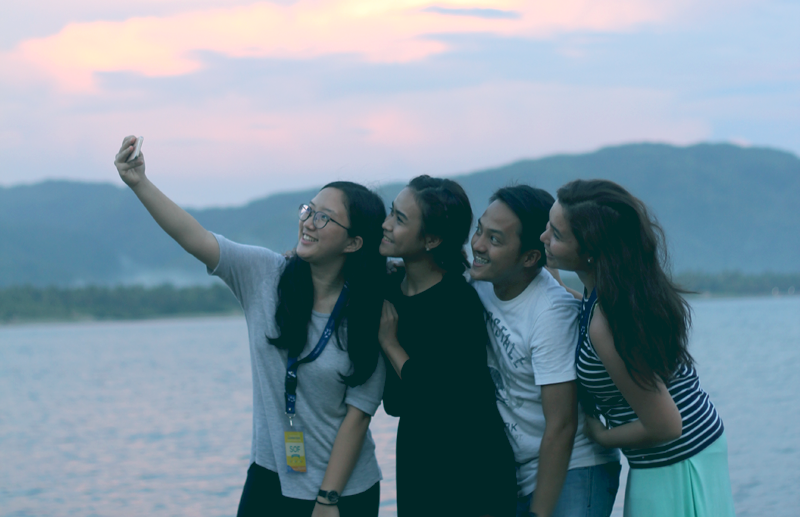 This 6-day learning and leisure camp by the beach is a platform for young leaders from the Asia Pacific region to expand their knowledge about human dignity and their role in development. 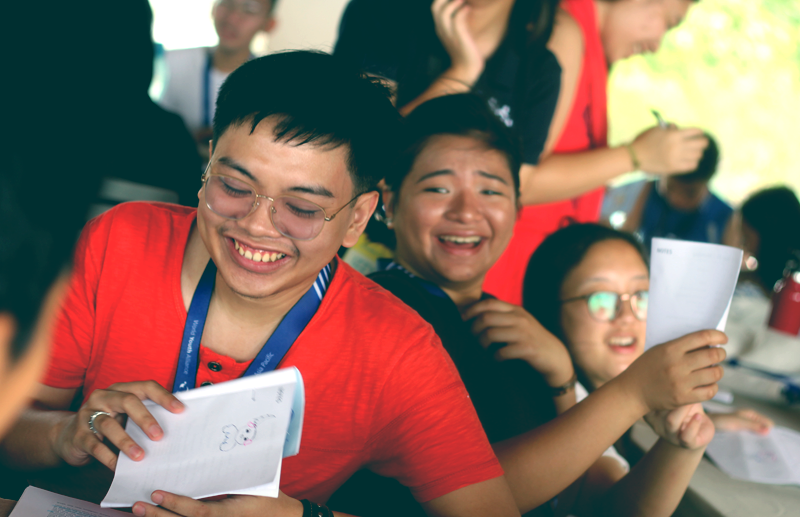 Over the past 12 years, the WYAAP Summer Camp has been a unique experience for our camp graduates where they not only engage in productive discourse but most importantly, gain meaningful friendships. The summer program presents an opportunity for holistic self-development, cultural exchange, and leadership training through lectures, dialogues, mentorship, and team-building activities. In the end, we see our leaders being able to communicate articulately and effectively on the discourse of human dignity. This allows them to engage their communities in developing person-centered solutions to pressing issues. As a camper, you will undergo the WYA Certified Training Program or the CTP. This is the premier course of the World Youth Alliance that equips youth with the knowledge and skills to be able to articulate and defend the principles of the dignity of the person within the public square. Completing the CTP also grants its graduates exclusive access to WYA’s global internship and fellowship programs, among many other regional and international opportunities. Fill out the application form on this website before the deadline and wait for an e-mail regarding your application status. Camp fees will cover a camp kit, 6-days/5-nights accommodations at the camp resort venue, meals & refreshments, activity materials, and a unique summer adventure. NOTE: Camp fees should only be settled upon receipt of your acceptance letter; fees are non-refundable. Accepted applicants are expected to cover their airfare, if necessary. WYAAP will, however, offer local transportation to and from the WYAAP office and the resort venue at no additional cost. Only members who have successfully completed the WYA Certified Training Program are eligible to apply as camp facilitators. Fill out the application form before April 26, 2019, and wait for an e-mail regarding your application status. Camp fees will cover a camp kit, 6-days/5-nights accommodations at the camp resort venue, meals & refreshments, and activity materials, and a unique summer experience. NOTE: Camp fees should only be settled upon receipt of your acceptance letter; fees are non-refundable. Accepted applicants are expected to cover their airfare, if necessary. WYAAP will, however, offer local transportation to and from the WYAAP office and resort venue at no additional cost. What can you get out of the camp? Gain the knowledge and skills to articulate the idea of human dignity through the WYA Certified Training Program. Expand your horizon and develop your leadership and social skills through group activities. Get the chance to engage with other young people from various backgrounds. Become eligible to participate in other WYA regional and international events that are exclusive to WYA Certified Members upon successful completion of the camp. Visit the FAQs tab to learn more. 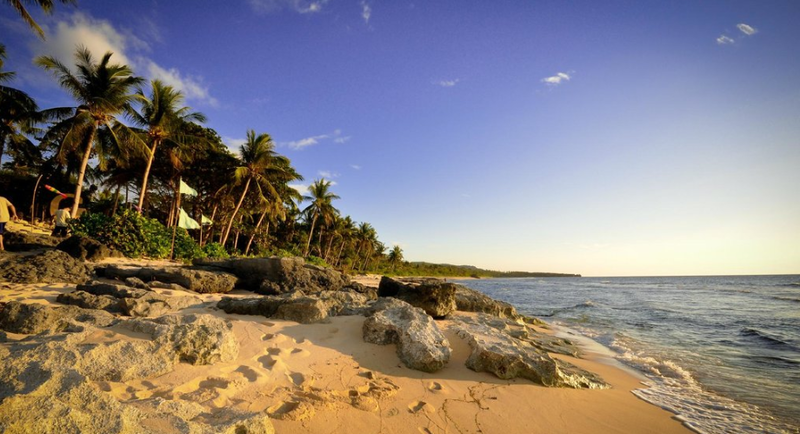 “Your best spot in Patar”—G Beach Resort is located at the edge of Patar Beach in Bolinao (Pangasinan, Philippines). Swim, snorkel or scuba dive on pristine waters of the West Philippine Sea. It is the perfect location for corporate retreats, family reunions, or for a relaxing family vacation (excerpt taken from gbeachresort.com). G Beach Resort is on Tripadvisor and is a Traveler’s Choice 2019 Winner. Tripadvisor awards this recognition annually “to the top 1% of businesses across select categories” (excerpt from Tripadvisor). The resort was also awarded a Certificate of Excellence by the same travel platform. NOTE: The resort has no wi-fi signal. Cellular phone signals for Smart and Globe carriers can, however, be accessed at two spots in the resort (cafe and lobby). Click here to read more blog articles about the previous Summer Camp. Need a formal invitation to your school or university? WYAAP does not provide scholarship grants for the WYAAP Summer Camp; however, we may provide letters to help you request for funding from contacts and institutions. Accepted campers who wish to extend their stay before or after the camp dates, or who wish to avail of other items/resort services not covered by the camp fee are expected to shoulder their own expenses. Applications for the 2019 WYAAP Summer Camp are now closed. Stay tuned for similar upcoming events by signing up for our newsletter or by following our Facebook Page. 1. Apply for the WYAAP Internship Program to be held at our headquarters in Manila, Philippines. Learn more here. 2. Enroll in the Online CTP and complete the certification course at your own pace. Enroll here. Who is eligible to join the Summer Camp? The WYAAP Summer Camp is open to youth between the ages of 16 to 24 years old belonging to countries in the Asia Pacific region. We are looking for young people who share the values and ideas of the World Youth Alliance and are committed to promoting this advocacy in their lives and communities. What happens in the Summer Camp? 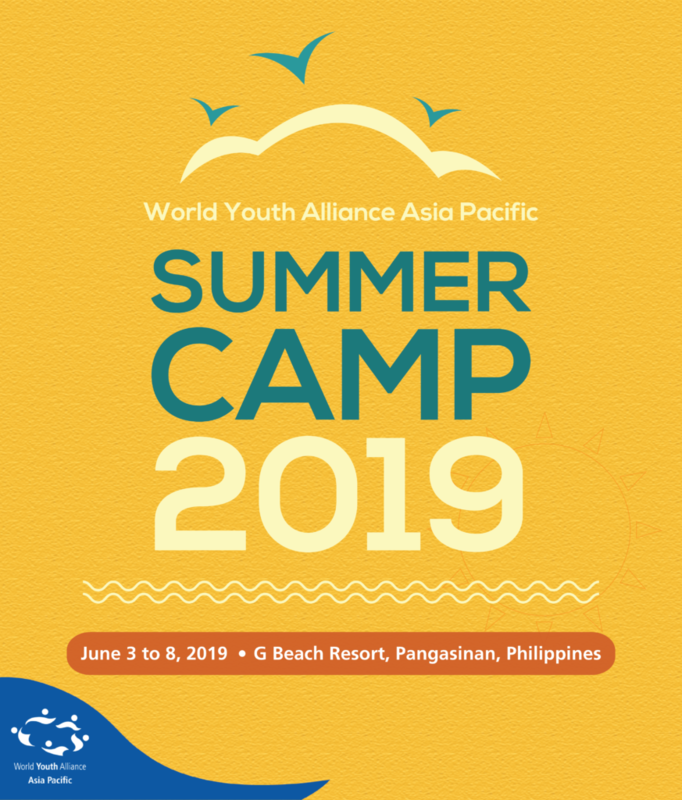 The World Youth Alliance Asia Pacific (WYAAP) Summer Camp is a major educational training program of WYA wherein campers undergo the WYA Certified Training Program (CTP). The activities will include innovative discussions and lectures, leadership training, team-building activities, and site excursions. The Summer Camp is an excellent platform for individuals who wish to expand their knowledge about advocating the dignity of the person and wish to experience cultural exchange, strengthen their capacity for leadership, and learn more about the role of the youth in development. What is the Certified Training Program? The WYA Certified Training Program is a short course designed to provide comprehensive training on the context, ideas, and work of World Youth Alliance. It presents a summary of philosophical, historical, and modern day texts that focus on the dignity of the person and human rights. The training includes a final Accreditation Interview exam which will assess the trainee’s mastery of the lessons. Download more information about the CTP here. What do I get out of the CTP? How many applicants will be chosen to join the camp? Applicants will be screened based on the content and quality of their application requirements and essay answers. Around 30 campers will be selected to join the camp. We are looking for youth who share the values of the World Youth Alliance, are committed to expanding their knowledge about human dignity, and are driven to make an impact in their communities. Summer campers are responsible for their own air travel and visa costs going to and from the Philippines. Other than that, WYA offers local transportation to and from the WYAAP office and the camp venue at no additional cost. More instructions regarding meet-up and drop-off arrangements will be given to campers upon acceptance of their application. For foreign nationals, WYA will be able to provide a letter of invitation if necessary for visa applications. Please visit this link if you are required to apply for a visa to enter the Philippines: Guidelines on the entry of temporary visitors to the Philippines. Nationals from certain countries are allowed to enter the Philippines without a visa for a period of stay of thirty (30) days or less. Camp starts daily at 7:30 AM and ends at around 9:00 PM with meals and snacks served in between. A regular day will consist of CTP lectures, team-building activities, group discussions, skills training, and leisure time. Are adult chaperones permitted to accompany their children? Adult chaperones will be allowed to, as long as rooms are still available at the venue. Otherwise, they may opt to stay in another resort and visit the camp venue while the program is ongoing. Chaperones are expected to shoulder their own travel, accommodation, and meal expenses. Is the camp fee refundable? The camp fee is non-refundable. The camp is a self-funded program of WYA Asia Pacific. As a non-profit, we rely heavily on program fees, fundraising projects, and donations from generous individuals in order to secure the logistical arrangements needed to implement our programs. These sources of funding allow us to provide quality educational and cultural experiences for our members and ultimately allow us to make an impact in our communities. For these reasons, we thank all our members, donors, and sponsors for helping us make the summer camp happen. If you are coming from another country outside the Philippines, you will be are responsible for their own travel and visa expenses going to and from the meet-up location or camp venue. WYA can provide a letter of support if necessary for visa applications. NOTE: Nationals from several countries are allowed to travel to the Philippines without a visa. Visit this link to view the list of countries allowed to enter the Philippines without a visa (please carefully read the requirements). We currently cannot provide scholarship funding for our applicants; however, we can assist you in looking for sponsors should you be accepted. How can payments be settled? Camp payments must only be settled after receiving your official acceptance letter. For accepted applicants, fees may be settled in cash or check through bank deposit, personal payment at the WYAAP office or online payments via PayPal or Western Union. Complete payment information will be given to accepted applicants. Bank and online money transfer charges are excluded from the registration fee. Still not sure what to expect? Read about last year’s WYAAP Summer Camp here or view photos of last year’s camp here. You could also send us an e-mail at wyaap.summercamp@gmail.com or call our office landline at (+632) 921 5162 for more questions. The 2019 Furaha Camp will be the sixth (6) camp to be organised by WYA Africa. Furaha is the Swahili word for happiness. The camp is fundamentally aimed at enabling young people 14 – 18 years old to gain values in an atmosphere which is relaxed and fun in addition to providing the opportunity to interact with many cultures, and nations, since participants will come from different countries in Africa. This will be a great addition to the continuing education in character and human excellence as is unique at WYA. The camp will be hosted in the Kenya. Applications will open with further details by June 2019. *Movies to be screened will be obtained from WYA’s Film List. NB: All education materials will be based on an integration of WYA’s Certified Training Program and Human Dignity Curriculum. Send the completed application form to africa@wya.net. Each applicant will pay 15,000 KSHS (or 150 USD) for the week-long camp. The camp fee includes 7 residential nights meals, WYA Africa Camp Kit and camp material (including certificate, t-shirt, study material), WYA t-shirt & wristband. Payments will be made upon WYA’s confirmation to attend the Camp. To World Youth Alliance Africa, delivered on or before Friday 15th November 2019. What is the Furaha Camp? The Furaha Camp is a remarkable training opportunity for young people, to educate in WYA values, in an atmosphere of fun, and in solidarity with many young people from other backgrounds, cultures and countries. Who is invited for the Furaha Camp? Young people aged 14 – 18 years. Why is it important and worthwhile? This year’s theme is Human Flourishing and Good Governance. For every young person attending the camp this will be an opportunity to learn in an atmosphere of fun, sports, and group activities, boosted well with an intellectually engaging understanding of the human person through the human dignity lens, as is characteristic at WYA, to build a culture that respects the dignity of each person. What logistics will be provided? Meals, accommodation, transport to and from Nairobi , certificates, WYA t-shirts, and Camp study material will be provided for the duration of the camp. All travel expenses to and from Nairobi; will be borne by the participants. All other travel, lodging, visa and tax expenses before and after the camp will be the sole responsibility of the participant. WYA Africa will maintain correspondence with applicants, to enable a smooth travel experience. How will visas be processed for participants outside Kenya? Kenya allows visa waivers for many countries. Please check with the Kenya Department of Immigration to confirm whether you require a visa or otherwise. Each participant will be required to have official travel documents (passports or as required by law). Supporting documents from WYA Africa will be provided to enable an easy entry into Kenya through customs. Participants from outside Kenya are encouraged to check immigration procedures prior to travel. The conference will cost 15,000 Kenya Shillings (or 150 USD) per participant. This will include the 7 residential nights, travel to and from Nairobi (for those who will require this), meals, WYA Africa Camp Kit and camp material (including certificate, t-shirt, study material), WYA t-shirt & wristband. Where do I get the Application Form? Payments will be made as detailed in the “Fees and Payment” section of this webpage. What is the dress code for the camp? The dress code will be casual for all the days of the camp. Campers are encouraged to maintain a dress code that is modest. Note : Once in receipt of acceptance letter one should begin to make payments, deposit Kes 5,000 immediately and final payment before deadline as slots are limited. If my inquiry is not addressed? For any inquiries, reach us through africa@wya.net or directly call us through +254-202-508-626. We look forward to meeting you and your friends soon in Kenya, at the Furaha Camp.